Keep your cool! When the heat gets to be too much, you'll be cool and calm with this portable mini fan. 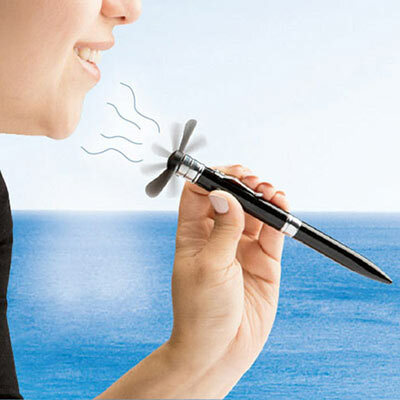 Unique design – it doubles as a ballpoint pen – lets you take it anywhere! Simply twist to retract the ballpoint pen. On/off slide. Uses 1 AAA battery (not included). 6½"h.